 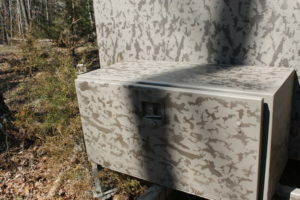 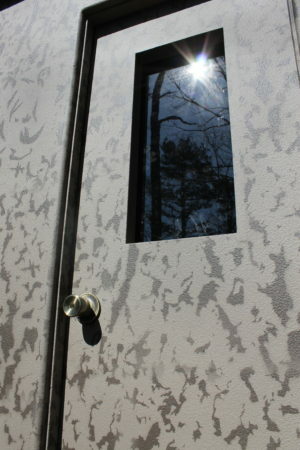 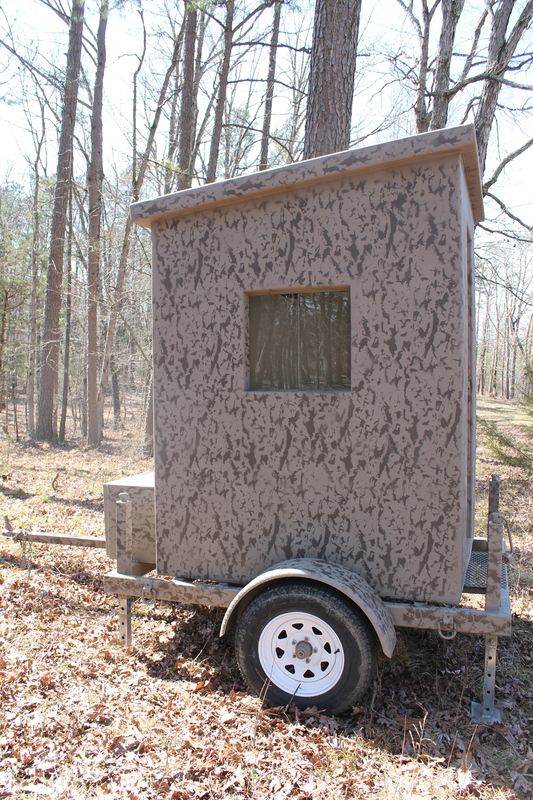 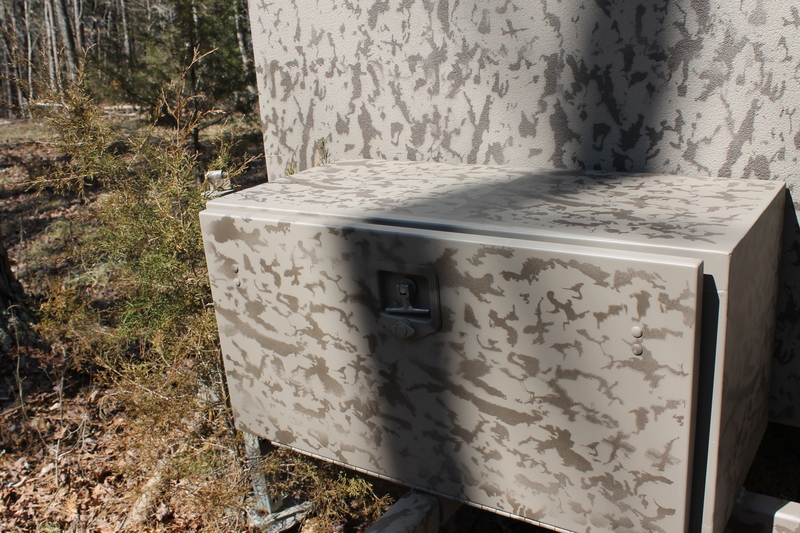 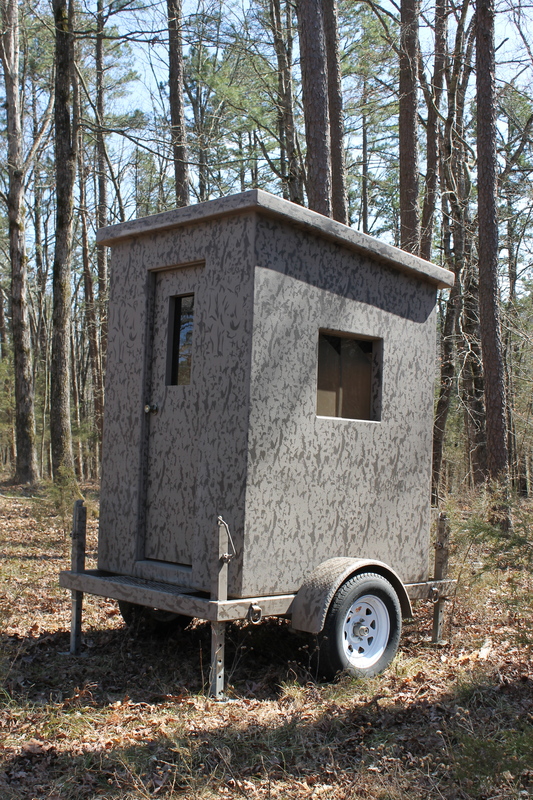 Trailer | | Rhino Building Products, Inc.
(Blind NOT Included in this Purchase). 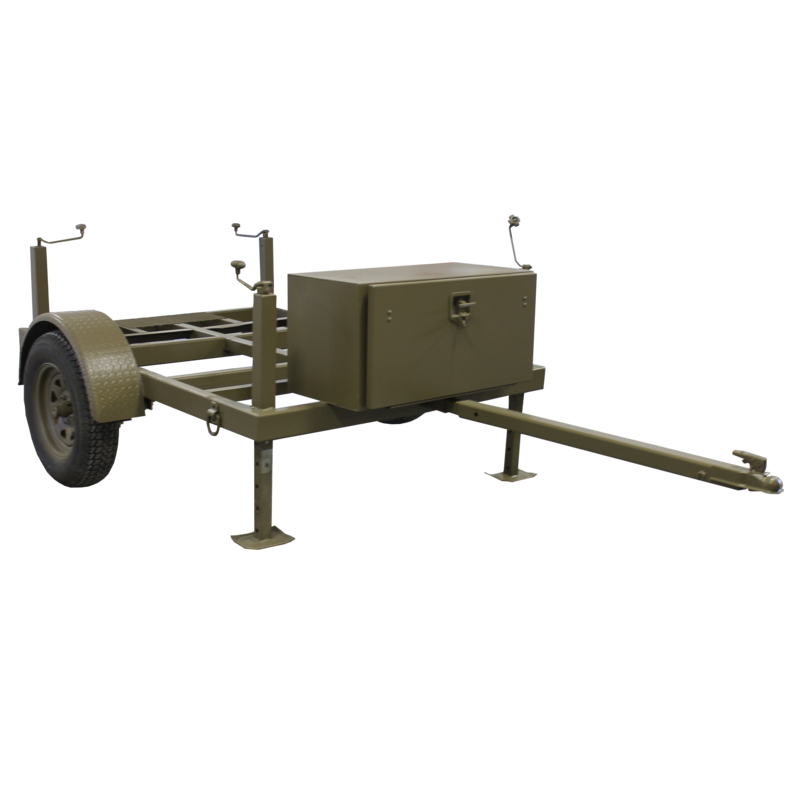 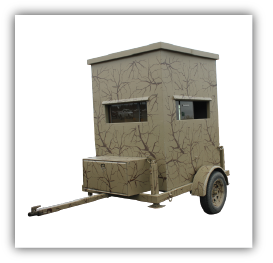 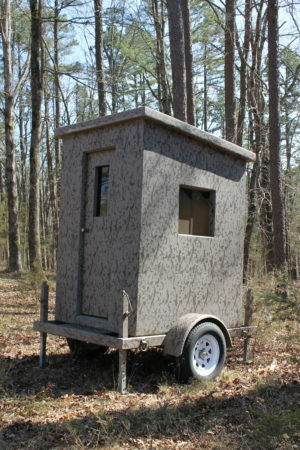 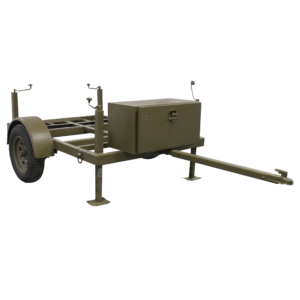 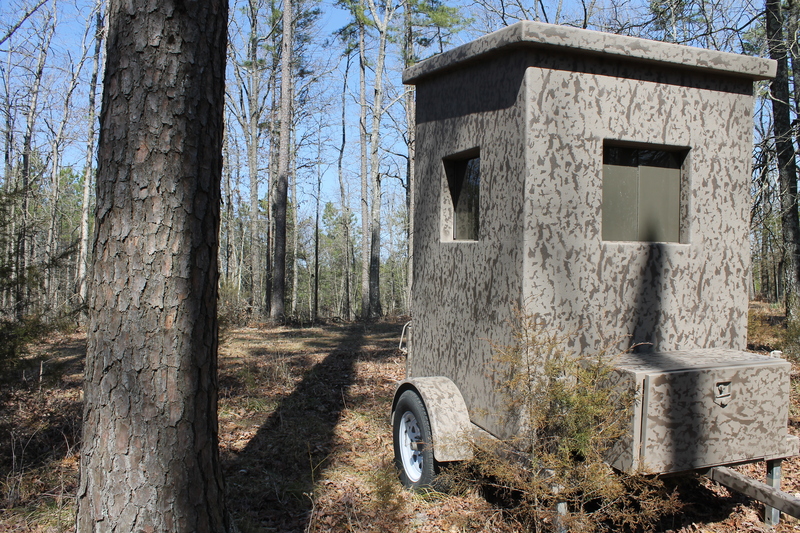 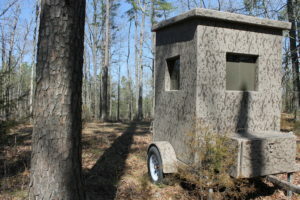 Our trailers are designed to make an easier and more efficient way to move your blind to the perfect location. 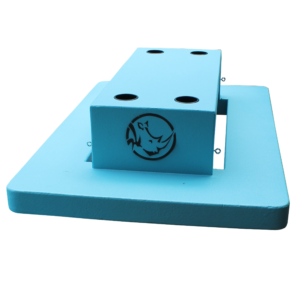 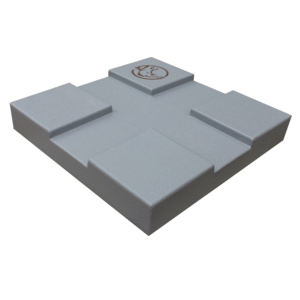 With all terrain leveling jacks you can park your blind in areas other platforms can’t go. 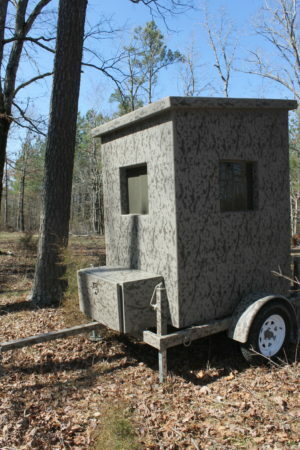 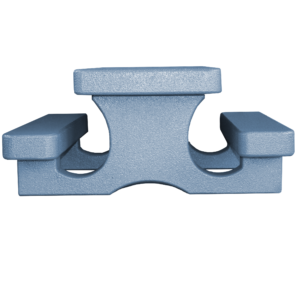 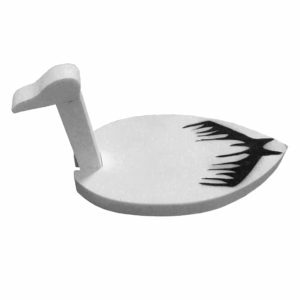 Removing the tongue and wheels assures you that your blind will not be taken off of your property.